The Internet has come a long way and nowadays people can serve many of their needs, both personal and professional, with the active contribution of the web. One such need is no other than file sharing. There are numerous different reasons why a person would want to engage in file sharing of documents and other data. Businessmen wish to share documents that are classified and are necessary for the achievement of their goals, whereas students wish to download e-books and send over notes. All at once, important information material can be sent from one place to the next in a blink of an eye and this is certainly an accomplishment of modern society! Mankind has been more than enthusiastic about file sharing, as this timeline dictates. Regardless of the actual needs that are satisfied, file sharing has been spreading all over the Internet and more people become involved in such activities on a daily basis. Plurality is demanded, so as to improve the services received while file sharing in a safe and easy manner. In this article, we will refer to some of the most popular file sharing websites available for everyone to access and take advantage of. There are two basic competitors in the field of file sharing, including BitTorrent and Cyberlockers. The first one is a protocol used for peer-to-peer (P2P) sharing of data on the Internet and used to be really popular a few years back. The second one is a third party online service enabling data storage and sharing, remotely using a cloud. Of course, some people continue sharing files via e-mails and such. However, the capacity of e-mail accounts is rather limited and this is why the cutting edge of technology has been driven towards these two distinctive options mentioned above. Let’s have a look at the top 5 secure file sharing sites, so as to offer you some food for thought regarding your online security. Dropbox: Over the past few years, Dropbox has become really popular in the field of personal file sharing. You start off with 2GB of free space for storage and you can upgrade, according to your requirements. 1TB costs $9.99 monthly and there is no restriction as to the storage you can buy. Of course, the plans available can also cover the needs of professionals and businesses. You can access your files from any device, as long as you have got your password and username. Besides file sharing, there is ongoing backup for every file that is securely placed in the cloud. 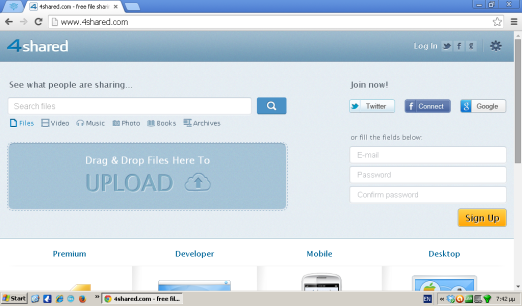 MediaFire: This is another option, in order for you to share big files securely online. 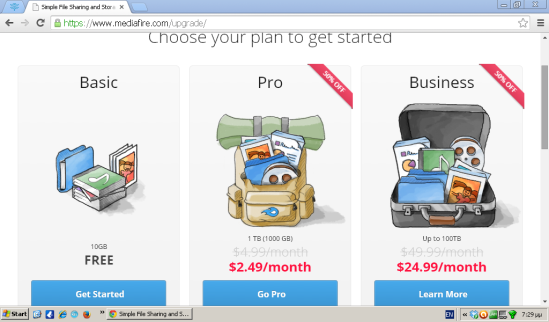 With the use of MediaFire, you can share all the different formats of files as media. You have got an account, where you can connect wherever you are and access your files on the spot. Pro and Business options are available, as well as a Free account for up to 10GB of space. There is the option of editing files on MediaFire, while the limit for transferring files is 200MB. 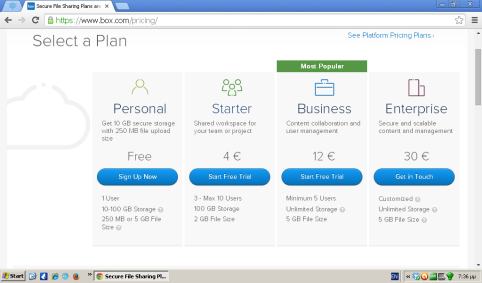 Box: Among the top file sharing websites, we find Box. This is another cloud-based service, offering distinctive features to free or premium personal accounts, business and enterprise options. The Free account is limited to 10GB at first, which can be gradually upgraded. All at once, the file size is restricted to 250MB. File sharing requires the contact between users and their accounts, while you can access your files from your computer, your mobile and generally wherever there is an Internet connection and the respective app. 4shared: Free file sharing and storage is also offered by 4shared. After logging in, you can drag and drop the files that you wish to upload and complete the process without any further requirement. You can see what other people are sharing through the respective search bar, while you can narrow down your search by clicking on the icons for files, music, video, photo, books and archives. The limit of file sharing at 4shared stretches up to 5GB. Still, there is the option to turn to a premium account and get up to 100GB of space. 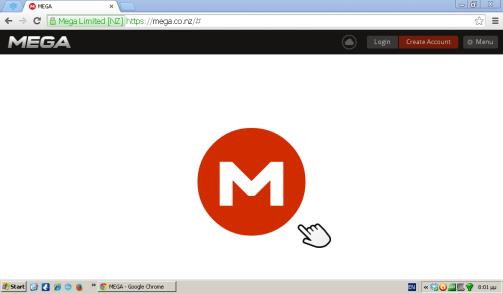 co: 50GB is provided to Free accounts of Mega, which is actually Megaupload that has re-launched. Kim Dotcom established this cloud-based service for anonymous file sharing in 2013, based in New Zealand. End-to-end encryption and mobile apps, secure global access and safe collaboration are ensured through this platform. Your files are synchronized and they are accessible everywhere. Users who get premium accounts benefit from 500GB of file storage and up to 1TB of overall bandwidth. From all the details that have been pointed out above, it is crystal clear that you can engage in file sharing without having to worry about the consequences on your overall security online. You can benefit a great deal from the use of the Internet, in order to exchange data in all sorts of documents and differently formatted files. You simply need to come up with the plan that helps you out the most, so as to facilitate the path towards both receiving and sending the info that you want to. Without putting your computer at risk and without jeopardizing the private nature of the documents that you send over or get your hands on, there are solutions that work true wonders for you in the long run. Try them out and stay safe, while getting exactly what you are entitled to in terms of safety and convenience! 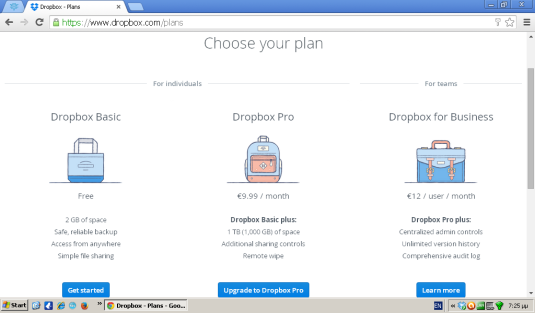 Dropbox Review: How Secure It Is?